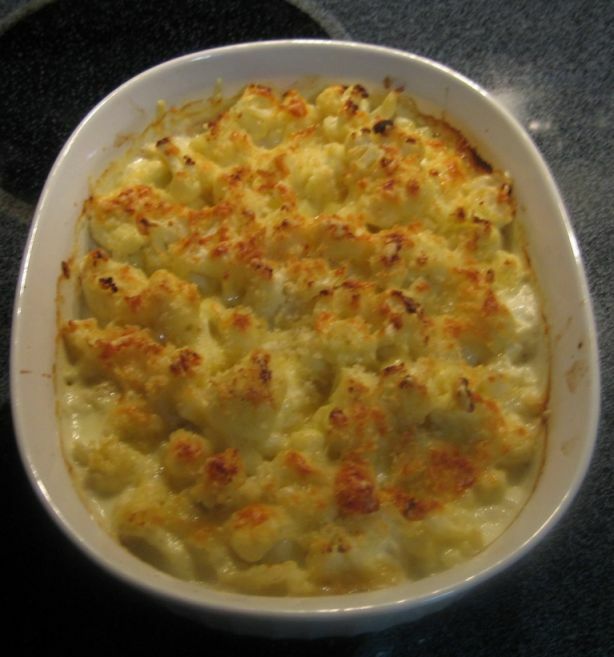 Cauliflower au gratin is a side dish that goes very well with any type of meat. It is creamy , comforting and extremely delicious. 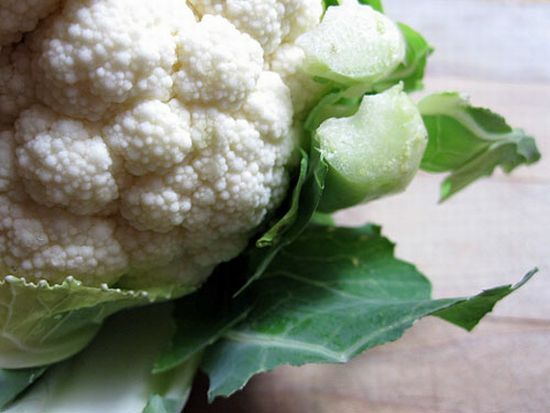 Cauliflower is definitely an underused vegetable so this is your chance to buy a cauliflower and turn it to a wonderful dish! 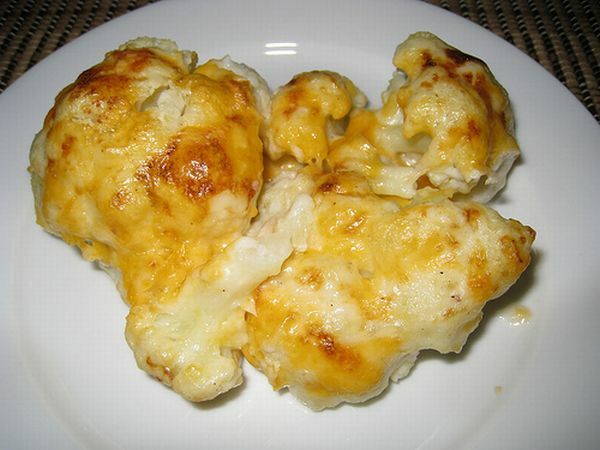 Cauliflower is very forgiving and it is almost impossible to overcook it. 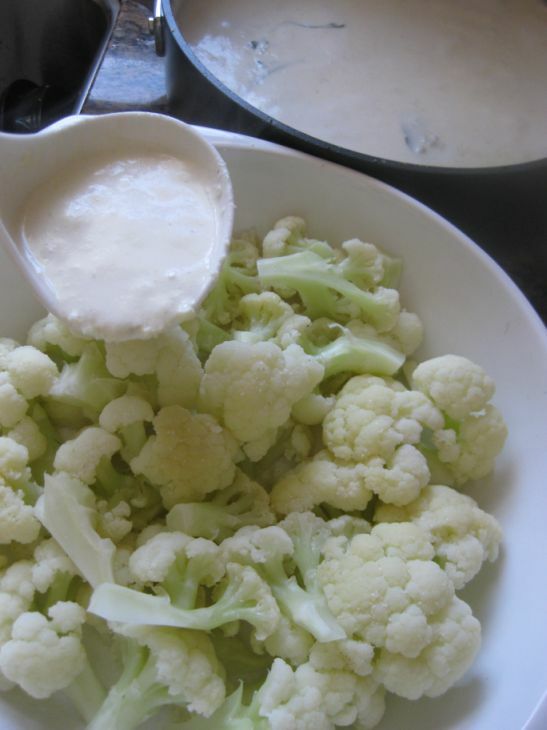 In this recipe all parts of the cauliflowers are used including the trimmings of the cauliflower which is puréed and then it becomes part of the sauce. 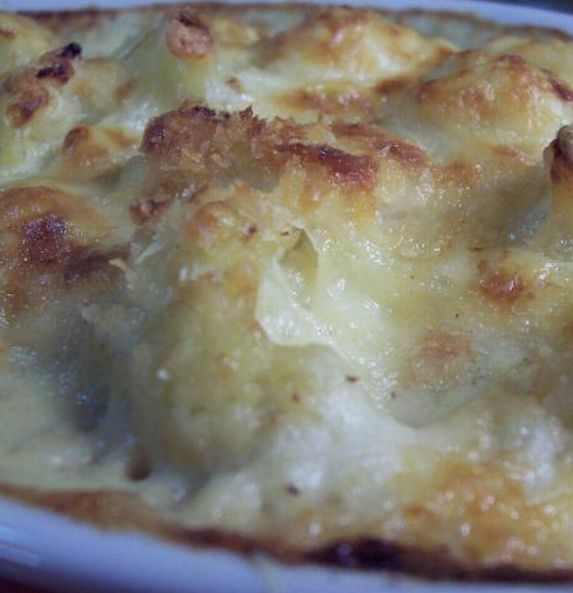 Close look at the gratin. I served this dish at one of my dinner party and everyone really enjoyed the dish. They were a bit surprise that the dish had so much flavors. Remove and discard the green leaves from the cauliflower. Cut the florets into 1-inch pieces, reserving the core and the stems. You should have 4-5 cups of florets. Bring a large saucepan of water to boil. Season the water with salt and the vinegar. 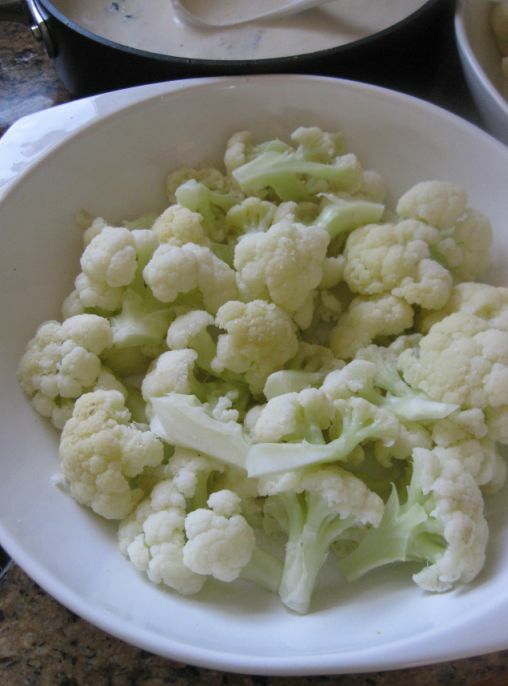 (The acid in the vinegar helps keep the cauliflower white.) 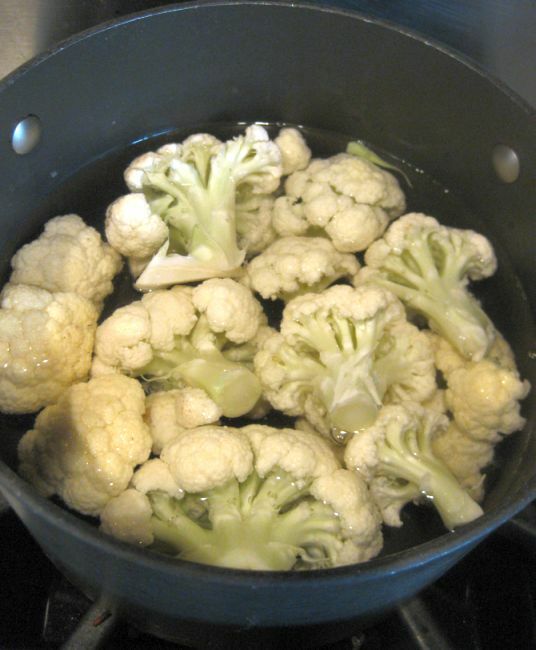 Add half the cauliflower florets and blanch for 2 minutes. Remove with a strainer or slotted spoon, drain well, and place in a large bowl. 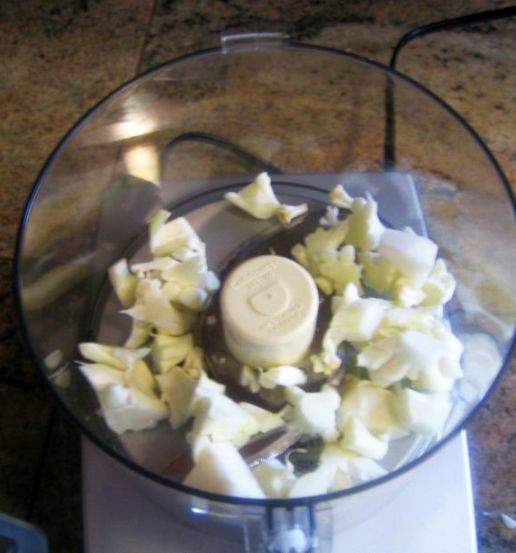 Repeat with the remaining florets: Blanch, drain, and add to the bowl. Set the saucepan aside. Season the florets with salt to taste. Cut away and discard the tough exterior of the core, then cut the core into small pieces and place them in a food processor. Add the reserved stem trimmings and pulse until very finely chopped, just short of a puree. (You should have about 1 cup. Add the butter and shallots to a saucepan over medium heat and cook until the shallots are translucent, 1 to 2 minutes. Season with salt and pepper, add the bay leaf, thyme, and parsley. 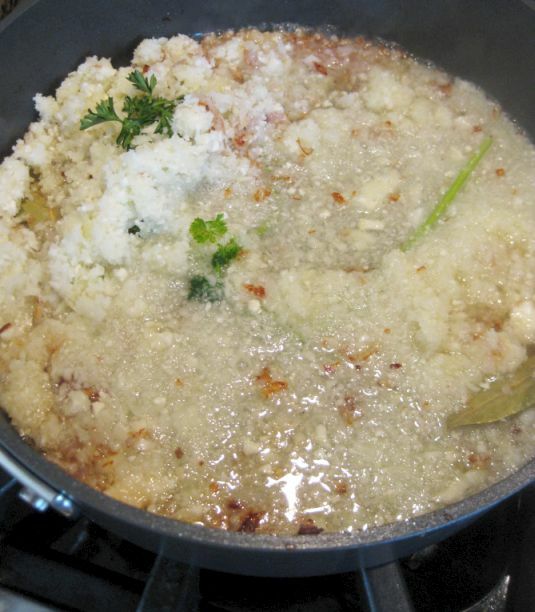 Add the finely diced cauliflower (stems and core) and 2/3 cup of the reserved steaming water and cook gently for 5 to 6 minutes, or until most of the moisture has evaporated and the cauliflower is tender. 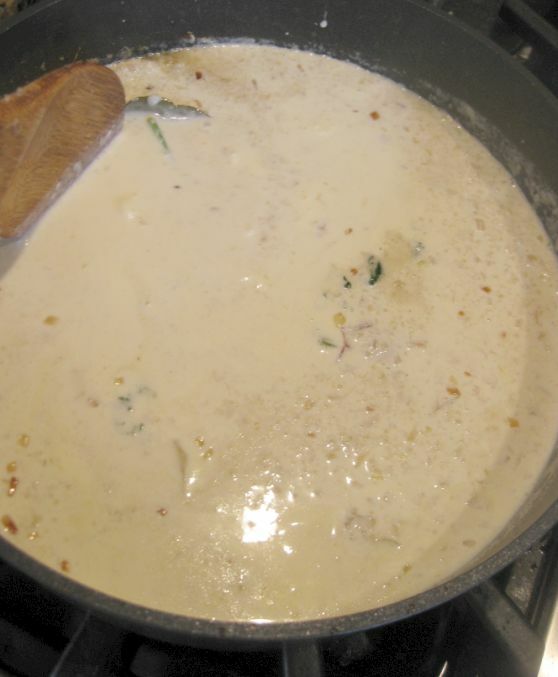 Add the cream, bring to a simmer, and simmer for 2 minutes. Remove from the heat and discard the thyme, bay leaf, and parsley. 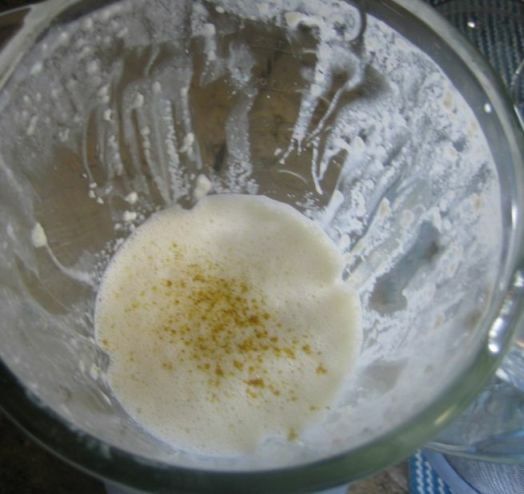 Pour the mixture into a blender and let it cool for 5 minutes. 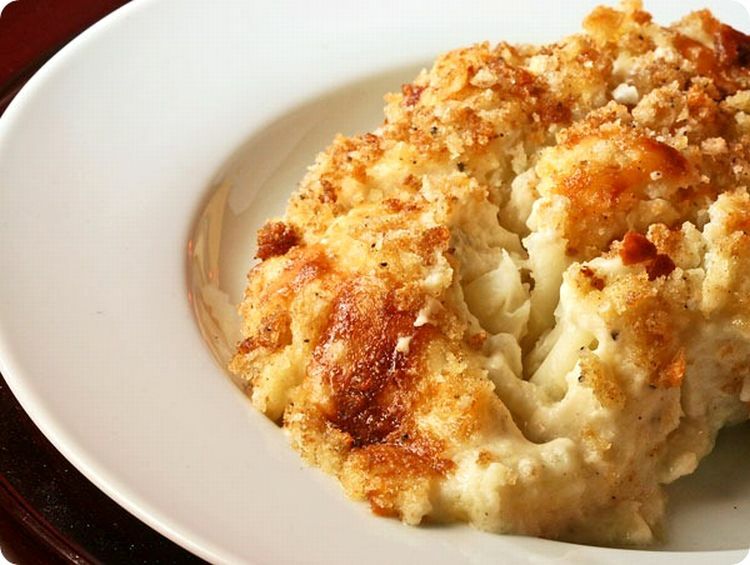 Once it is cool down, puree the cauliflower mixture and season salt, and pepper to taste. Transfer the cauliflower to an ovenproof dish. The cream should come about one-third or halfway up the florets. Refrigerate for 30 minutes to allow flavors to mature, or you can refrigerate this for up to a day. Sprinkle the top with the cheese and bread crumbs. Place in the oven to cook for about 15 minutes, or until it is bubbling and the center is warm. If you want to top to be crispy than turn the broiler on and brown the top for an additional 3 to 5 minutes.